Happy Holidays from The Center! In this month's newsletter, we are preparing to ring in the New Year by featuring our recent treatment of a unique timepiece designed by Irving Harper. 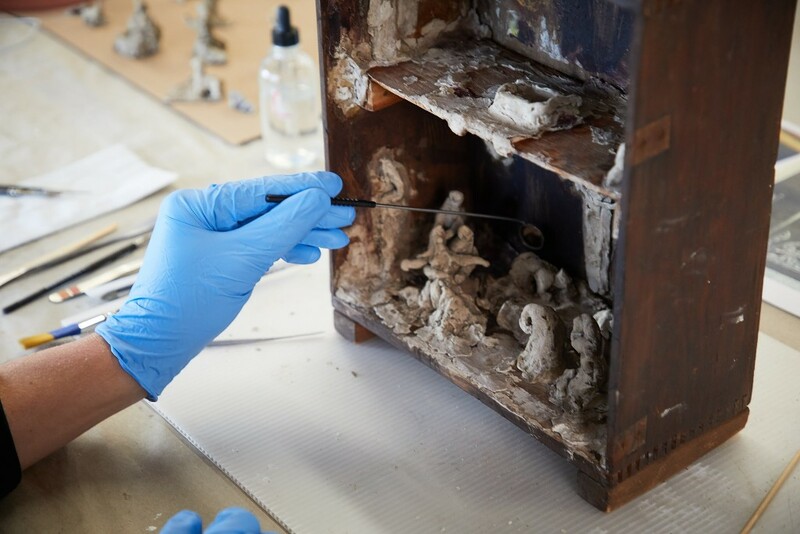 Next, we'll travel through the story of a 1950s Marisol nativity scene passed down through generations. 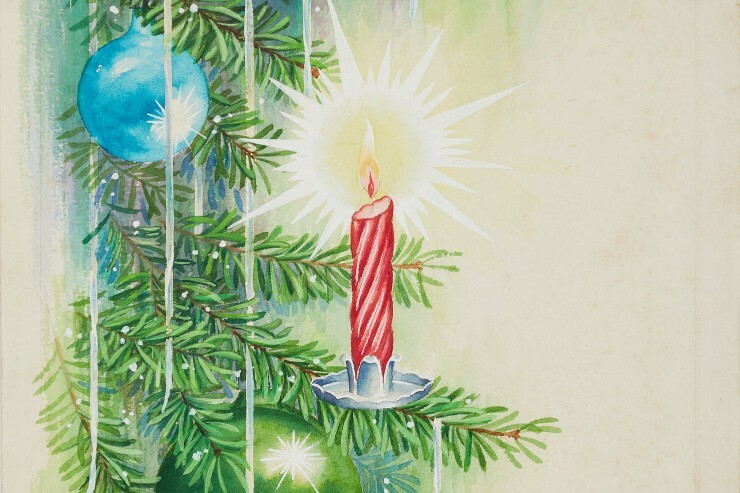 Lastly, we'll show you some beautiful card designs that received treatment just in time for the holidays! Be sure to scroll down to view our recent press in Vanity Fair and several other exciting announcements. When this piece came to The Center for treatment, we knew it was only a matter of time until we discovered the story behind it. After several conversations with the owner followed by some research on our end, we discovered that the clock was designed by Irving Harper for the “Motion Notion” series in 1959-1960. 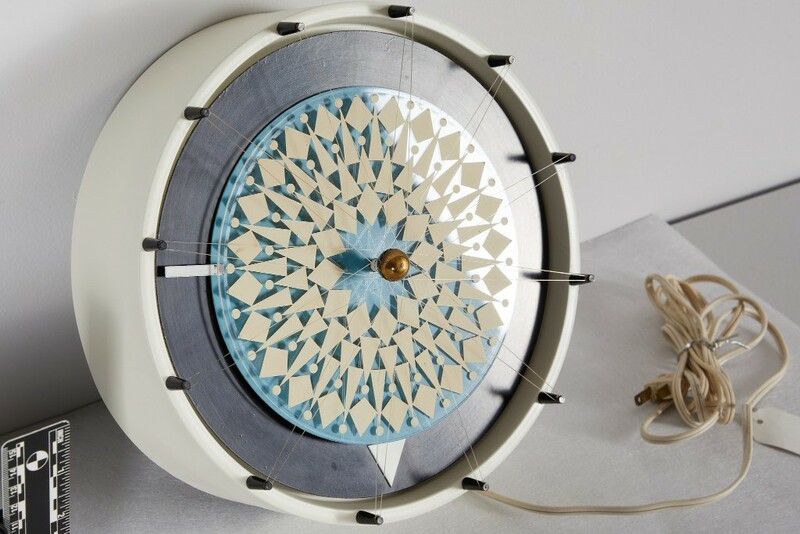 Often referred to as the “Compass Clock”, the timepiece was produced by George Nelson & Associates, where Harper worked as a designer for many years. In the 1950s, Marisol worked out of a small loft studio that she shared with a man name Richard Buzzle. In the evenings, she would borrow Richard’s tools. They became friends, and when it came time to part she made him a gift. The gift stayed privately within Richard’s family and was passed down through generations but never publicly exhibited. Years later, it would resurface when mentioned in a 2014 volume about Marisol’s career titled Marisol: Sculptures and Works on Paper. 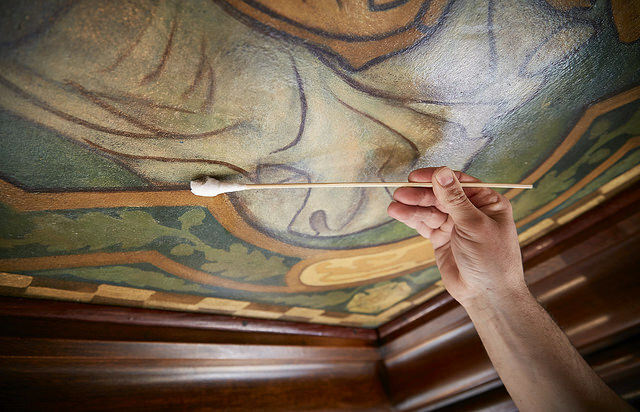 Most recently, it reappeared again when Richard’s daughter and granddaughter brought it to The Center for conservation. Giving and receiving holiday cards is a beloved tradition, bringing friends and family members from near and far together with just a simple gesture. 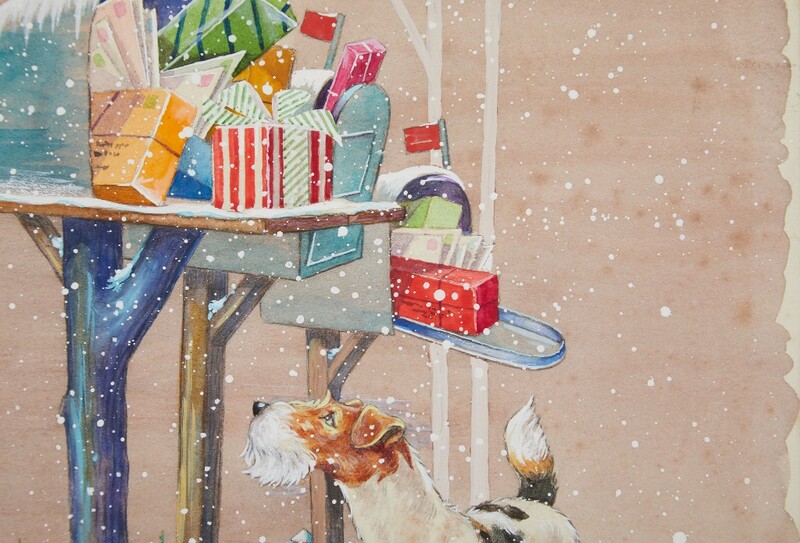 No matter how far from loved ones you may be, opening a holiday card can make you feel close and connected to those you miss. This was the feeling that one of our clients had when he recently discovered some long-lost original artwork for old holiday cards. "In Southern California, Even the Art Has a Fire Evacuation Plan"
"Fire Forces Museum Closures in Southern California"
Each year the School of the Art Institute of Chicago's (SAIC) Annual Fund helps provide students with financial aid, facility enhancements, technology acquisitions and upgrades, academic programming, and many other initiatives crucial to their education. 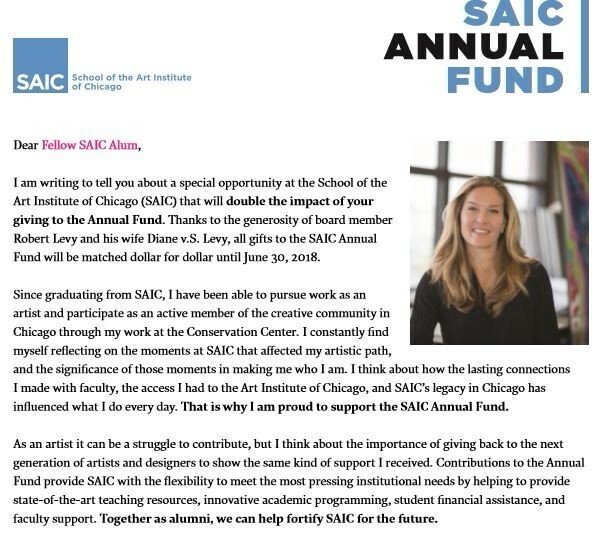 Click Heather's letter below to learn more about SAIC's Annual Fund and how you can help! 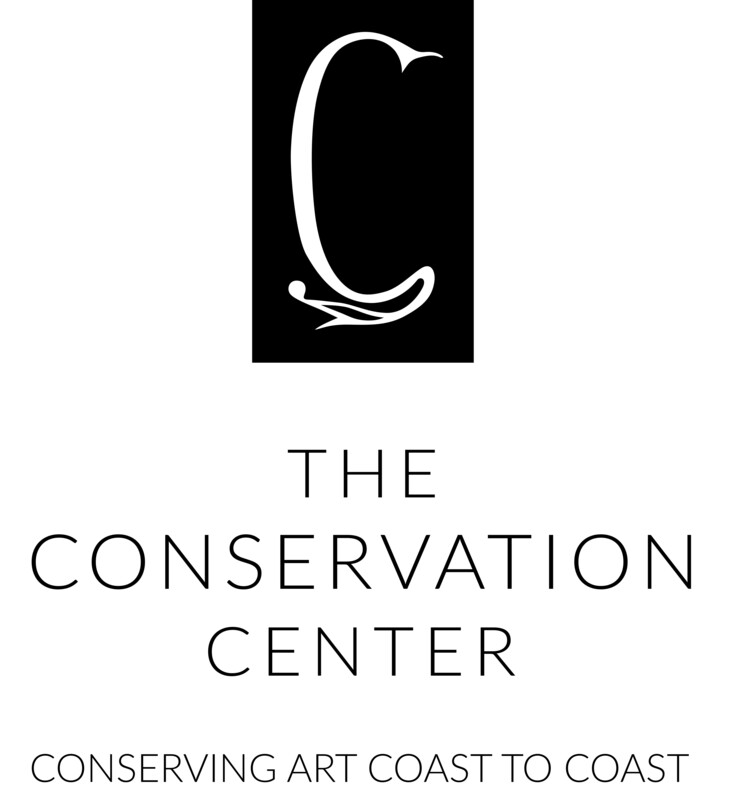 Copyright © 2017 The Conservation Center, All rights reserved. For more information, high resolution images or to speak to Chef Markov please contact Samantha Crafton Public Relations directly. About Valor: Located in the heart of Chicago’s North Shore, Valor is an exciting new American bistro with international influence that offers accessible fine dining in a cool, contemporary setting. The menu, which is geared towards the savvy, sophisticated diners of the North Shore, is created by Executive Chef Stefan Markov. Markov operates a scratch kitchen, meaning that everything from sauces to sides are made in-house. In addition to signature items like Steak Frites served with Sauce Au Poivre, Lemon Roasted Chicken and a killer Cheeseburger (topped with Onion Marmalade, Aged White Cheddar, Signature Sauce and Bacon.) Valor’s menu changes almost daily based on seasonal market selections. A carefully curated wine list consisting of mostly private label brands anchors Valor’s beverage program (Valor co-owner / wine collector Dr. Richard Salberg hand selects each and every bottle in the wine book.) Seasonal craft cocktails created by master mixologist Matt Varchmin and a rotating selection of beers round out the restaurant’s drink offerings. Valor’s interior is simultaneously charming and modern. A large stone fireplace and tavern chandeliers are juxtaposed by a striking contemporary bar and sleek communal table, which serves as a kind of partition between the bar area and the dining room. The restaurant’s multifaceted design makes it the perfect place for everything from a family dinner or girls night out to weekday happy hour or a special date night with your significant other. Valor is located 667 Vernon Ave. in Glencoe, IL. 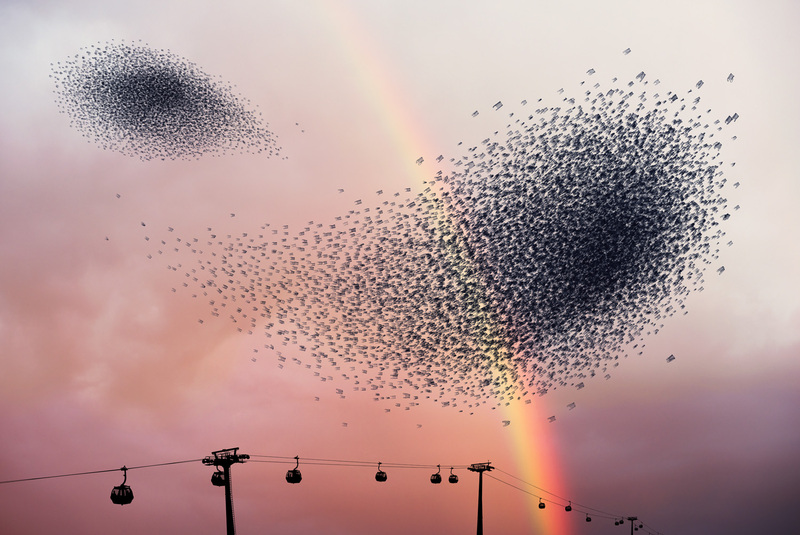 Born in 1979, Alain Delorme lives and works in Paris, France. Graduated from the Gobelins's school, he then pursued a master's degree in photography at the University of Paris VIII. The photographic work of Alain Delorme is particularly concerned with depicting the phenomena of normalization and standardization conveyed by our consumer society. 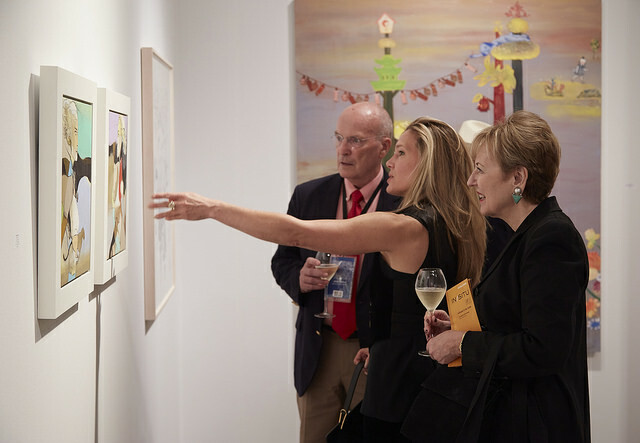 The artist delivers photographs in graphic and colorful worlds oscillating between realism and fiction. A distant rustle, puffs of air : a swarm forms and rises in the breeze, drawing elegant arabesques in a sky full of shimmering reflections of light. 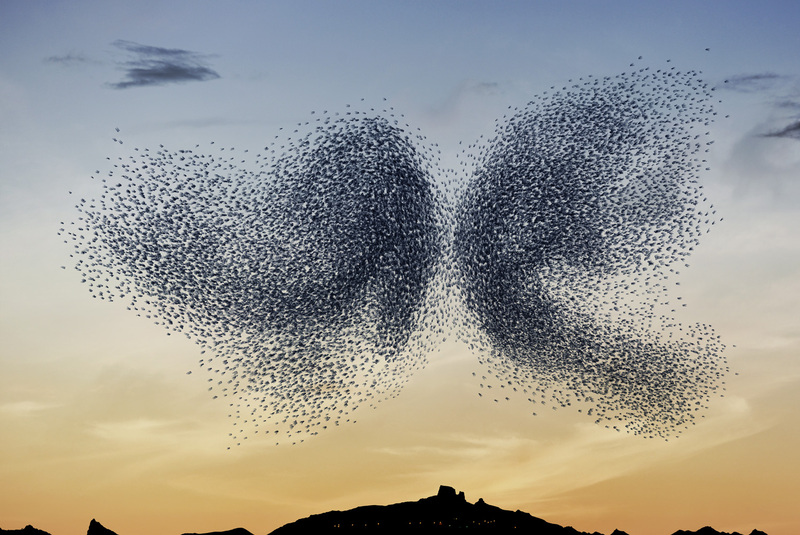 At first, the works of Alain Delorme capture the magic of the first fleeting beauty of a flock of birds, a Murmuration. 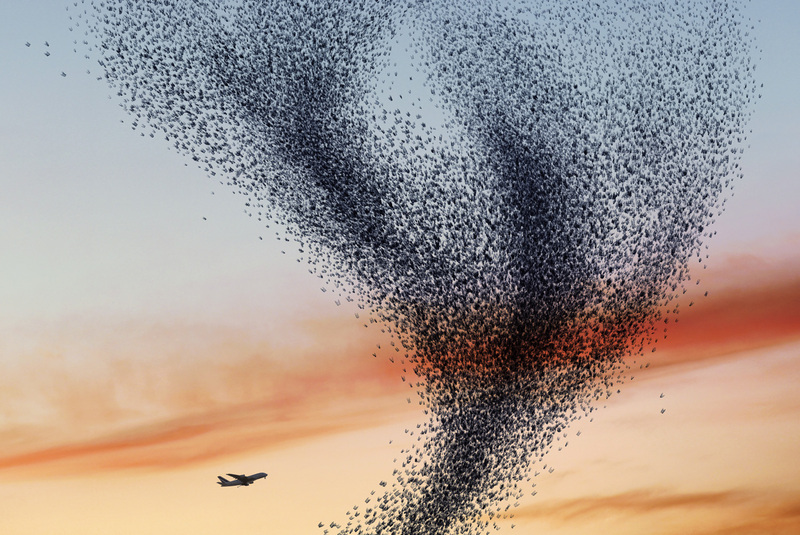 However, this initial charm soon vanishes when the viewer takes a closer look, notices the clever deception, and discovers what is really behind the graceful flocks, the sometimes aquatic, sometimes calligraphic shapes : thousands of plastic bags, meticulously arranged by the artist, their massive presence threatening to asphyxiate the horizon. 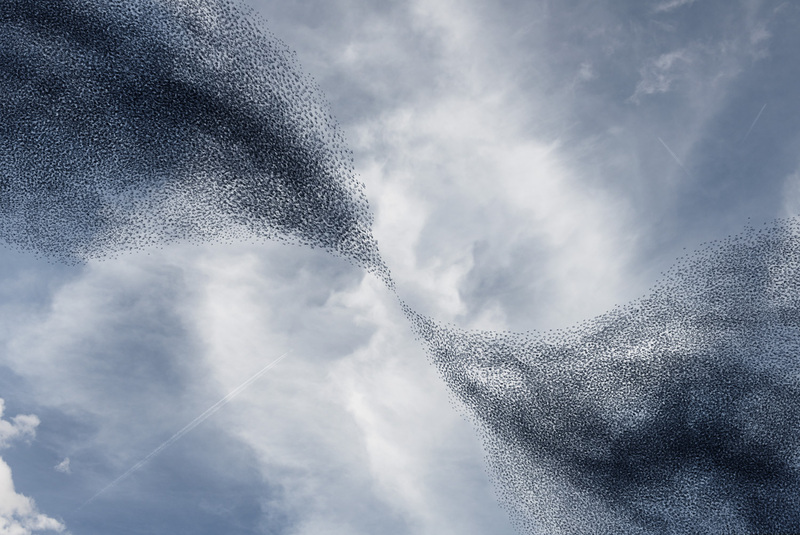 This work is located at the crossroads between various visual cultures and diverse artistic heritage, primarily cinematic : Murmuration seems like an improbable blend of the sight of the plastic bag which in American Beauty (1999) swirls around almost hypnotically, and the vision of The Birds in Hitchcock’s great classic from 1963. Both play with the reversal of perspective: the Master of Fear builds his plot on the inexplicable aggression of actually harmless animals, while the scene captured by the amateur filmmaker seems to unveil the beauty and delicacy of an otherwise ungainly object. More generally, Delorme’s digital creations echo land art installations – presenting natural spaces that have been physically transformed in order to question their fate and vulnerability. In this work, Alain Delorme revisits accumulation, a recurrent theme of the new realists also leveraged in Delorme’s previous series - using absurdity to bring attention to the excesses of modern society. By choosing such a common and universal artifact, the commentary takes on a global relevance. 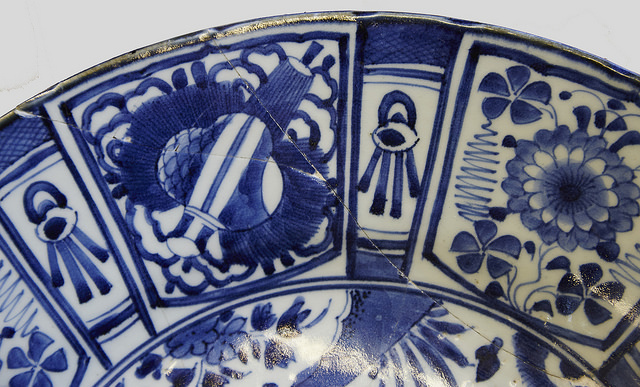 The context of the images is only hinted at, without explicit geographic positioning. The outline of our proud industrial societies, factory chimneys and power lines stand out as shadows playing against a sky that is bathed in a twilight that seems to announce the end of an era. 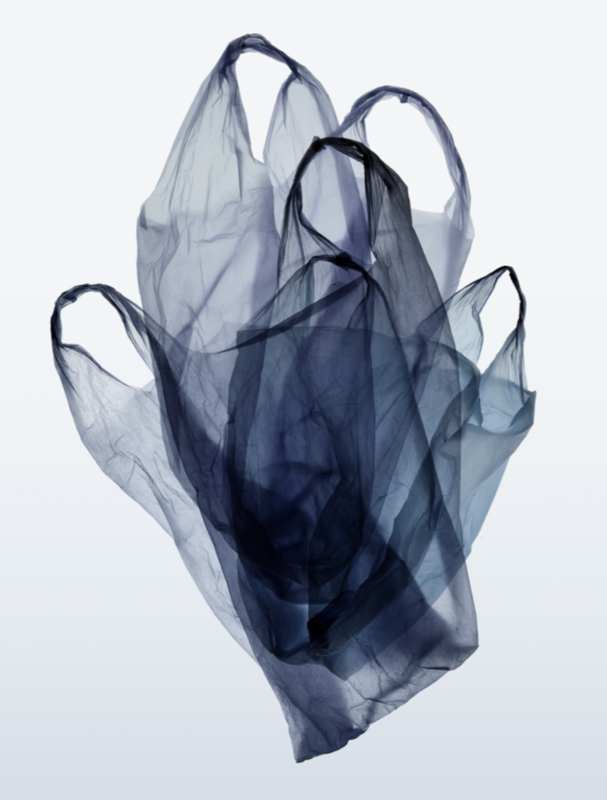 Because the plastic bag poses a truly universal threat : it invades urban surroundings, litters natural habitats, paves seabed, and takes over deserts. Through this “trompe l’oeil”, Alain Delorme steps away from any militant position, favoring the process of gradual awareness. He cuts out, assembles and arranges the elements of both a fictional and probable reality into one image that projects the sunsets of our tomorrow.